So I write books for children. I do that here, in a wooden hut in the garden – these are some of the books I use to research what I need to know before I start to write. The corgi at the top of the pile came from Buckingham Palace. Honestly! Sometimes I tear myself away from the hut to go and talk about my books. Here I am at the Edinburgh Book Festival, with Emma Carroll, who also writes historical fiction for children. We’d just done an event talking to lots of children, and we’re just about to start signing books for them. Incidentally, you probably can’t see it very well in the photograph, but Emma and I are wearing themed tops – hers has palm trees and Egyptian buildings, because her book is set in Egypt, and mine has gardens, because my book is about plant hunters. There’s lots more about the books and about writing on the rest of the site – do have a wander round! And if there’s anything you want to ask, use the contact sheet to get in touch. 5.0 out of 5 starsRiproaring good read! Woohooo! 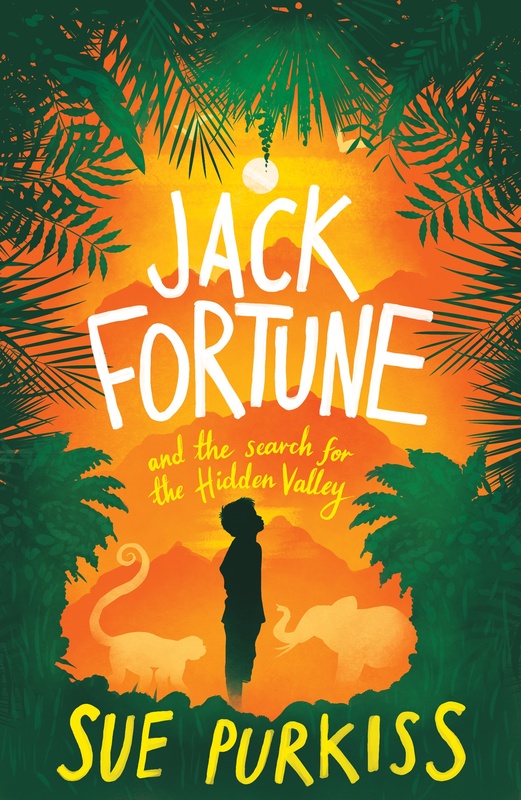 What fun this is – a kind of young Indiana Jones meets Alan Quartermain with its own individual spin: the hero hunts plants rather than treasure. I originally bought a copy for a young relative, but after glancing at the first few pages decided I really ought to have my own before I creased the spine. And then spent a cold, wet Bank Holiday reading it, happily transported to warmer and more exotic climes – it’s a great read which keeps you hooked and turning the next page all the way through: exactly the sort of book I loved to read as a kid myself, and still really enjoyable now I’m sort of grown up. Adding to the excitement and believability is that it is not an improbable plot by any means but based on proper historical facts – but if you aren’t a history buff don’t let that put you off; this is a real rip-roaring adventure story from start to finish with thrills aplenty!